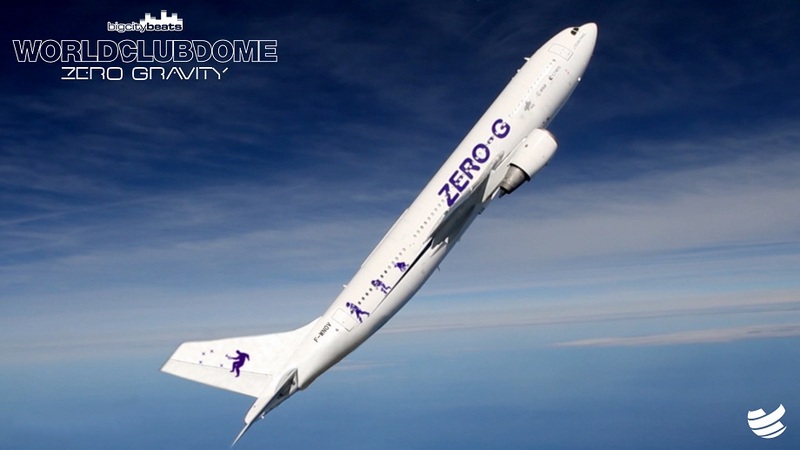 For the first time in history, a party will take place in zero gravity, headlined by some of the biggest DJs in the world. Dubbed The World’s Smallest Nightclub WORLD CLUB DOME Zero Gravity will launch on February 7th, 2018 in cooperation with FRAPORT – Frankfurt Airport. Now, European Space Agency (ESA) astronauts Jean-Francois Clervoy (chairman of Novespace, a subsidiary of CNES) and Pedro Duque are joining the mission team. The project is making history by creating the world's first club in zero gravity, dubbed "The Smallest Club in the World" and headlined by Armin van Buuren, Steve Aoki and W&W. The specially converted A310 aircraft, used by the European Space Agency (ESA) for astronaut training flights, will take off from Frankfurt Airport on February 7. The flight will last a total of 90 minutes, with headliners Armin Van Buuren, Steve Aoki and W&W providing the soundtrack to one of the most unique party experiences ever conceived. Partygoers and DJs will float together in weightlessness - an experience usually reserved for astronauts.